The cat-ball makes a great show of being fast asleep, until the possibility of dinner presents itself, and then we see that it knew exactly what was going on all the time. 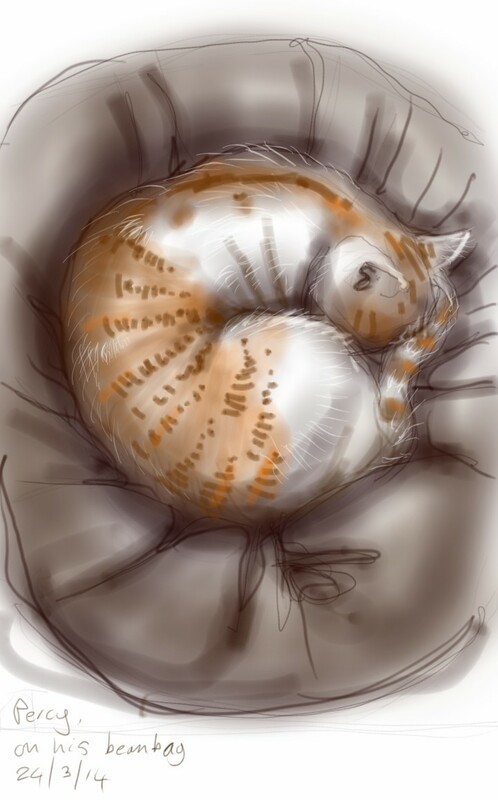 This entry was posted in Cats and tagged art, cat, cat sleeping, digital sketch, drawing, ginger and white, illustration, phone sketch, tablet sketch on March 24, 2014 by Nancy Farmer. I love these sketches Nancy. And on a phone. Brilliant.